Our WISP install team knows that sometimes one size doesn't fit all. That means occasionally a standard install is not the perfect solution to a customer's needs. See examples of our team's flexible approach to their installations shown below. 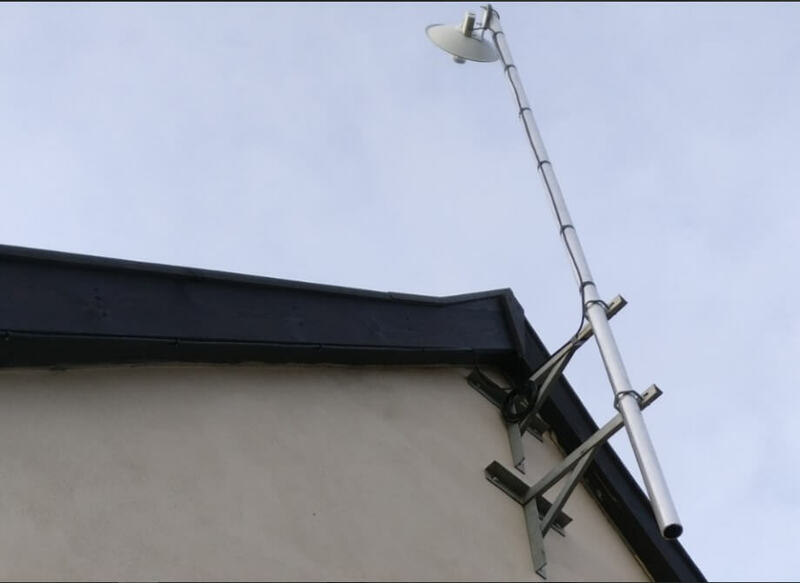 This example is of a custom install with a 2.5 mtr pole, 30 cm receiver dish and a very well hidden cable run. The cable has been positioned on that side of the pole because the entry to the driveway is on the opposite side, which means no cable will be seen by anyone visiting.